Brand new to the market Genius Gluten Free Bread has already won an award for Innovation from Foods Matter for the best new Free From product in 2009. The gluten free bread claims to be the “first ever fresh gluten and wheat free bread – available in the supermarkets – which looks, tastes and feels every bit as good as a freshly-baked traditional loaf”. So sadly for me Genius Gluten Free Bread is not suitable for my multiple food intolerances, as it contains egg, sugar and yeast but I am sure for those Coeiliacs and people on a Gluten Free diet this sounds fantastic. If anyone has given it a go let us know how it tastes. Just tried this bread for the first time today, I havent been able to find a good gluten/wheat free bread before, I have had my first sandwich in years, it is the best. Hi I wish I could eat this bread but Im sorry to say that it makes me feel ill. I have been trying to work out what it is. The symptomes I get are the same as wheat and gluten bread. The only thing I can think it could be is xanthan gum. I have tried genius white bread twice now. The first loaf was unusable, as it consisted of crust and an enormous hole through the loaf! The second just fell to bits; nevertheless I managed to make sandwiches and toast from it. However, I am sorry to say that something in that bread makes me as ill as I used to be when I was eating gluten: pain and bloating down below, both back and front, and burping all the time. I wonder what particular ingredient is doing this to me. As I have not added any other new items to my diet, I can only think that it is the Genius bread, which tastes quite pleasant, although it is a little dry. I usually make my own bread with Juvela. Genius is totally amazing as far as GF ‘bread’ goes – it is honestly in a different league. It smells good, tastes great and you don’t have to toast to make it vaguely edible! I love it – despite the (high) price! Hello Madeline I have never tried this bread as I cant have a few of the ingredients. I sometimes make gluten free muffins which have Xatham Gun in and they dont always digest well and I have out this down to the Xatham Gum. Have you tried out flat bread – Gluten Free Flat Bread – they are realy quick and are my must have recipe for 2010! tried this bread totally by accident last week – thank goodness I did!! first time in 6 years that I’ve had a sandwich that tasted like bread it was heaven – will certainly be purchasing more. 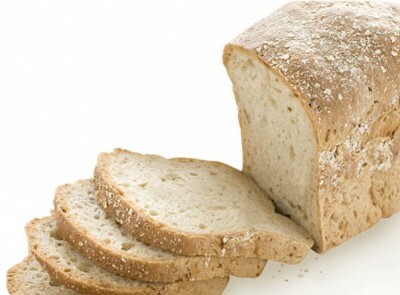 I so enjoyed eating this bread – as others have said, it’s like real bread again… but, I too am ill now from it. Can’t work it out, as my problem is wheat intolerance generally – very interested to see these comments about xantham gum, though, as I’d never considered this before. Does anybody have more info about this? Perhaps from Genius? As I live in Australia, I have not seen or come across genius’ bread. It’s a real shame as many of the gluten free loaves over here contain soy and I’ve been told by others that this bread you’ve got is also free of soy! I seem to have concluded that egg seems to be king of gluten free bread over in the UK and soy seems to be king of gluten free bread over here in Oz. I’d love to try it, I’m sure it’s really tasty. I’ve been having problems with this bread. I believe it to be the xantham gum. My symptoms are similar to when I have wheat, a horrible hangover type feeling of tiredness and feeling down along with a fuzzy feeling in my head. My stomach does not bloat like wheat though. I experienced something similar when I baked bread using a recipe which called for a large quantity of xantham gum. I’ve tried ‘Genius’ GF Bread, and it’s quite tasty – BUT, it had great inedible lumps of God-knows-what in it, and the cost is frankly piracy! Twice the price and half the size of a top-quality conventional loaf. £2.89 for God’s sake! Sorry, fellow Coeliacs, but let’s face up to it – you can’t make decent bread without wheat flour, so I’ll just have to get over it, but I won’t be buying ‘Genius’ – because it isn’t! Qld,Coles have just started selling Genius products in the freezer section.I haven’t tried it yet as I’m sick of paying for GF bread only to throw it.Good luck. Genius products were found to be contaminated with gluten in summer 2015 and withdrawn from sale so it may be that gluten contamination happened before that time. That would explain why some coeliacs/ wheat intolerant people were ill after eating Genius products. I could not eat the genius brown bread without the usual intolerance symptoms. Does it contain gluten-extracted wheat harvested using roundup? How does it naintain such a long shelf-life? I found with some gluten free processed food that I react to it – Zanthum gum is reglarly added and I react to that.